This corner of Italy is the perfect destination for delighting in picture-perfect villages, people-watching, boating, hiking, culinary delights and age-old traditions. 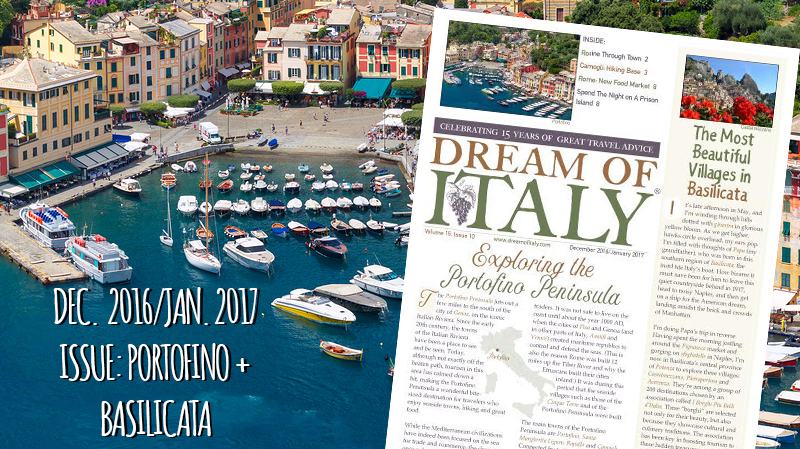 We tell you where to stay, where to eat and what to do in Portofino, Santa Margherita Ligure, Camogli and Rapallo. These three gems are among a group of 200 destinations chosen by an association called I Borghi Piu Belli d’Italia. These “borghi” are selected not only for their beauty, but also because they showcase cultural and culinary traditions. One of the towns evening has a breathtaking zipline. A new foodie haven, Mercato Centrale Roma (Rome Central Market), has opened in Rome’s main train station — Termini bringing delicious food (including Roman classics) and drink to Romans and travelers. There’s a tiny island off the coast of Sardinia where no one has lived and there has been no construction for more than 100 years. This beautiful, wild island was once a prison island. Now the barracks have been turned into no-frills accommodations and the island is a great escape from the real world. Members only have immediate access to this new issue and 140 back issues. Join now – and also receive exclusive Italy travel discounts!